Islamabad, Feb 09, 2019: A spokesman of Ministry of Planning, Development & Reform clarified a news item published in a section of press regarding delays in implementation of China Pakistan Economic Corridor projects. The successful 8th joint cooperation committee meeting laid foundation for the expansion of CPEC to new heights. For future, joint efforts are underway, focusing on socio-economic development and accelerating cooperation in industrial development as well as agriculture. MoU on the formation of JWG on Socio-economic development and MoU on Poverty Reduction has been signed during the Prime Visit to China in November this year. Chinese Socio-Economic Development expert team visit is planned in the last week of this month of to finalize the projects and its sites in already agreed six different areas, including health, education, water supply, vocational training, poverty alleviation and agriculture. Recognizing the significance of Gwadar as an important node in cross-regional connectivity and the central pillar of CPEC, Pakistan and China is agreed to speed up progress on the Port and its auxiliary projects. Groundbreaking of New Gwadar Airport, vocational institute and hospital are planned in the 1st quarter of this year. Gwadar Master Plan is being prepared and it is in the final stages of formulation. Huge investment is expected in the petrochemical sector at Gwadar. 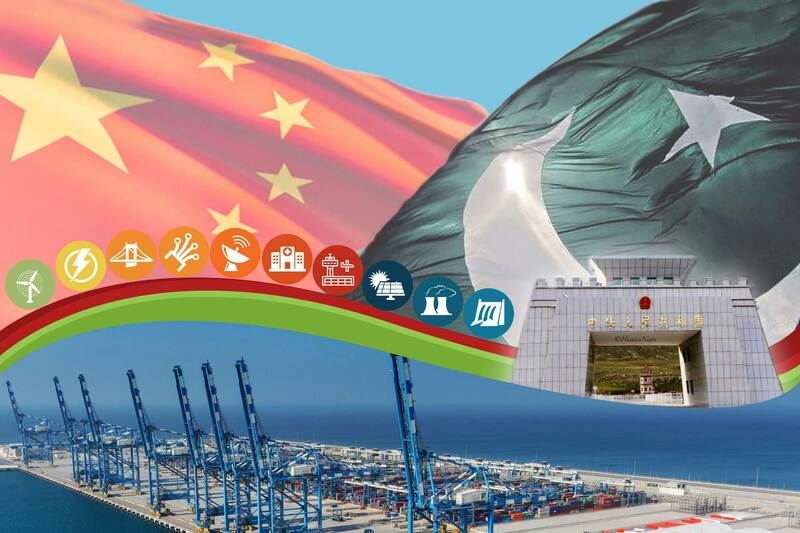 Pakistan and China have expedited work on industrial cooperation under CPEC and the government has fast-tracked development of economic zones by prioritizing Rashakai, Dhabajhi Faisalabad and ICT SEZs with a vision to make 2019 as a year of industrial development under CPEC. Pakistan and China have expedited cooperation in the field of agriculture with a special focus on enhancing cooperation in the areas of climate change, desertification control, desalination, water management, afforestation and ecological restoration, wetland protection and restoration, wildlife protection, forestry industry development, disaster management and risk reduction, and other areas of mutual interest. A sub group has been elevated to a full-fledged joint working group and its meeting is planned to be held in the first quarter of this year. Government promotes development of hydro energy projects and more projects based on indigenous sources are being added to CPEC portfolio. Similarly, Process has been initiated to prepare an integrated plan in line with SEZs development aimed at facilitating logistics and transportation for the zones. It has been decided to complete modalities for all weather opening of KKH at Khunjrab. ML-1 designs and scope are being firmed up jointly. Government of Pakistan has prioritized implementation of Western Route project with a focus to expedite development of D I Khan-Zhob and Zhob-Quetta sections in order to ensure uplift of less developed areas of Khyber Pakhtunkhwa and Balochistan. The completion of two early projects of CPEC; Peshawar-Karachi Motorway (Multan-Sukkur) and KKH Phase II (Thakot -Havelian) are planned in August 2019 and March 2020 respectively but both the projects are expected to be completed ahead of its schedule.